So, based on another thread in the forums, someone suggested the creation of were-squirrels. I was wondering if anyone wanted to share their interpretation of the were-squirrel? My interpretation comes from the webcomic El Goonish Shive (though it is much less strong than Grace). I think that were-squirrels would have five forms (human, near human, hybrid, near squirrel, and squirrel) which would be comparable to the five Kitsune forms. The near human would have Dexterity+1, Stamina+1, and Manipulation-1. The hybrid form would be gain Dexterity+2, Stamina+2, Manipulation -1, and Perception+1. The near squirrel form would have Dexterity+3, Stamina+3, Manipulation-2, and Perception+1. The squirrel form would have Dexterity+4, Stamina+2, Manipulation-1, and Perception+2. In addition to their normal shapeshifting, were-squirrels would be able to learn additional forms during character creation for 3 freebie points each or after character creation for 3 XP. Each form would be a variation of one of their five basic forms and possess the strengths and weakness of the basic form that they are based on. What other features would you like a were-squirrel to have? I don't know that this warranted another thread entirely, but my proposed setup in here in the other thread. If I were to do a full 5 form build, I would give the near human form +2 or 3 Dex and that's about it. -1 Man penalty. "Crinos" form: I think the Dex should be higher. Stamina in animal form seems way too high. I think the only reason the Ratkin (the closest equivalent) get +2 in Rodens is because they are supposed to be the embodiment of their patron Totem of survival. This is a kind of bizarre idea. No other shifter gets to add forms with freebies or XP (outside of learning specific form Gifts) so I would drop this entirely. Last edited by idpersona; 03-16-2017, 03:30 PM. I'm wondering, are there any famous legendary squirrels outside of the Norse Ratatoskr and the amazing Squirrel Girl? A quick Google search shows a few Native American legends dealing with squirrels (here). And if you're going to put Squirrel Girl in there, then I would include the squirrel from Ice age (the one that is always chasing the acorn). Edit: Wikipedia has a list of fictional squirrel characters here. Last edited by idpersona; 03-16-2017, 03:49 PM. Last edited by Ramnesis; 03-17-2017, 07:23 AM. Reason: Better quality picture. Aren't Saber Tooth Squirrels meant to look like this? hmmmn, would they have the same patagia gift the dancers have? Respectively, too small to be Hispo, too large to be Chasmus, and about the same size as Chatro for the larger Bastet tribes. I kind of figured you'd chime in with those corrections. That (recurring, at least for Hispo/dire wolf) terminology really does seem to bother you. 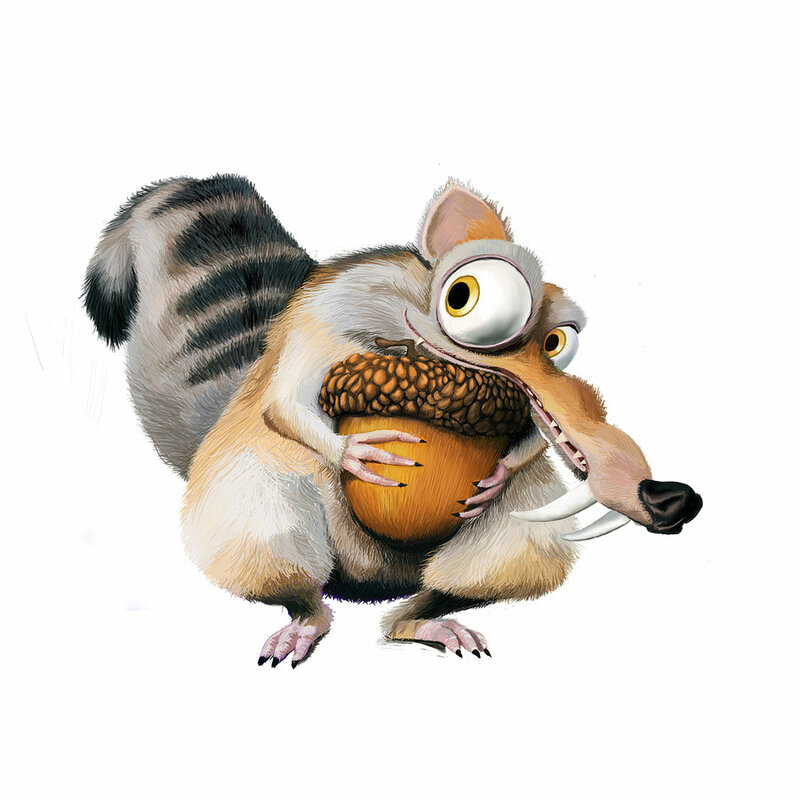 The funny thing is, saber-tooth squirrels really did exist in the real life ice age, but we didn't know until fossils of them were discovered after the first Ice Age movie came out. Well, dire wolves aren't shmeerps, so there is that. I wanted to add my two cents on this since I kinda started this train. A few centuries ago Gaia gave birth to the Sciuridae and charged them with gathering spirits that have been bound into items and returning them to the umbra. Because of this duty, the Sciuridae maintain their life in the Preumbra where many talons and fetishes go missing or are forgotten. But since the turn of the century, they have noticed there are more items being lost and forgotten in the mortal world. The elders have started sending small groups out to find and return those bound spirits. Breeding: Sciuridae breed just like the Garou but Homid born are very rare since the most human contact they have is with those people who wonder into the preumbra by mistake and those who transverse it. It is not uncommon for Sciuridae to enter in the physical world to breed. Many of the kinfolks the Sciuridae have are Squirrels and Metis. Natural abilities: Sciuridae are immune to disconnection from staying in the Umbra for an extended timeframe. This life in the umbra allows them to speak and understand any spirit. Natural flaws: Due to their lean bodies and light weight they find it hard to resist damage as the other shifters +2 to all soak rolls. Also, a Sciuridae can be easily distracted when things take too long. All extended roles are at a +2 difficulty. Their command from Gaia is the only thing they seem to be able to focus on easily. Sciuridae follows Helios instead of Luna since the sun shines the light on those lost and forgotten. This means they suffer aggravated damage from gold instead of silver. Black Squirrels are a group of squirrels who turned their tails on their own people and Gaia. They seek to follow the Wyrm. Black squirrels no longer seek to free the lost and forgotten but to taint them and find them a home to taint. Black Squirrels have tainted rabies which prevents them from rolling to resist frenzy checks. This taint can be passed on even to other shifters and only a rite of cleansing can remove it. Like their name, Black Squirrels are solid black down to the bones and blood. In their homid hey have black eyes. It is said that the first of their kind tracked a fetish into the labyrinth but found it was just a trap and when it looked up it look into the wyrm and at that point, it turned it soul black. Ability bonuses to forms went out with 2nd edition (the Rokea got a pretty hefty bonus to Intimidation in 1e, but shed it by 2e).